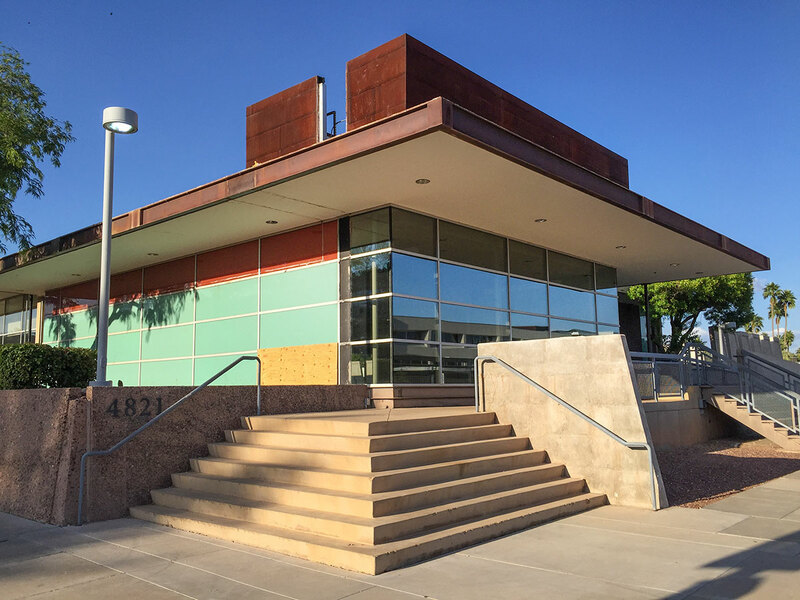 In April 2017 Upward Projects announced the grand opening of their latest adaptive reuse project in the historic Valley Bank Plaza designed by Weaver & Drover. 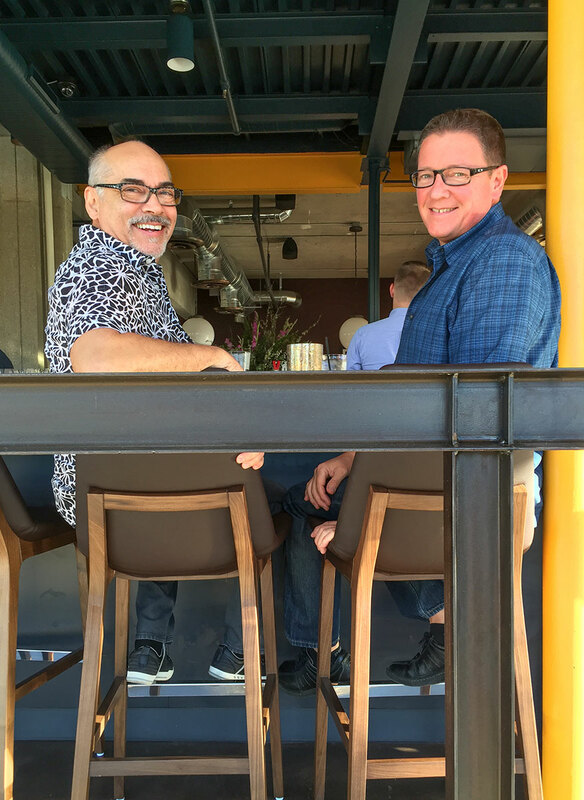 Architectural Designers Hermann Jacobi and Frank Henry worked extensively on this project. 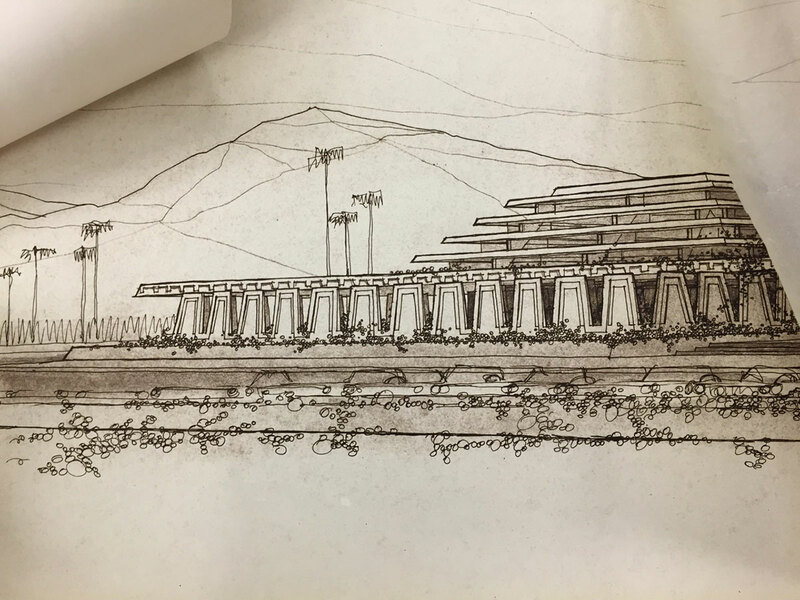 The newly-acquired Frank Henry papers at ASU Library Special Collections were consulted during the renovation. This rendering shows an unused terrace concept that added height to the building. 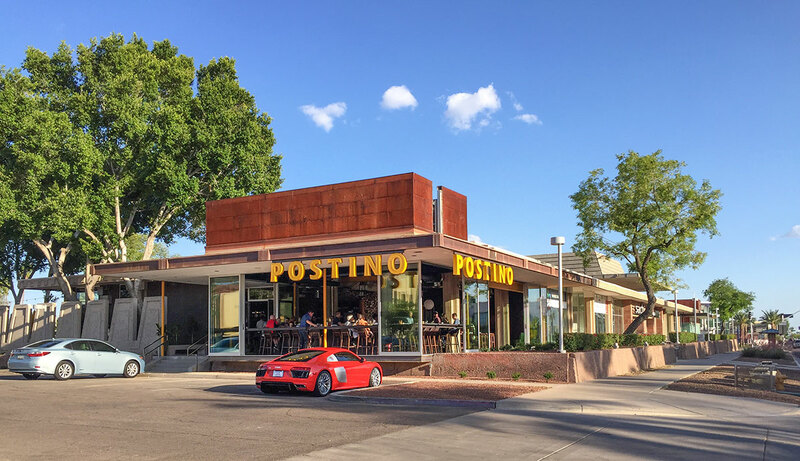 The motif on the concrete panels endured through the iterations but dozens of the trapezoidal forms have been removed from the Scottsdale Road frontage, altering its streetside countenance. 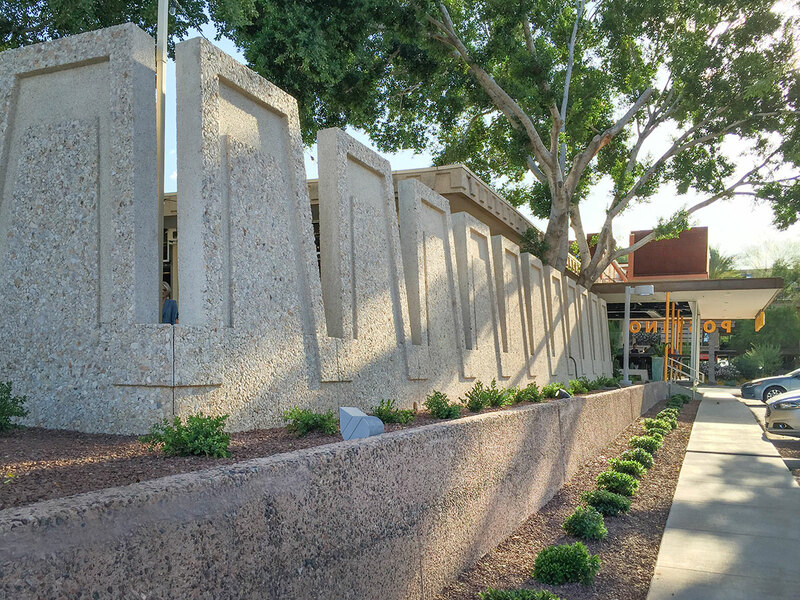 Brick & West renovated the 4000 square foot facility and adjoining open garden space enclosed by quartz-studded precast concrete relief panels. 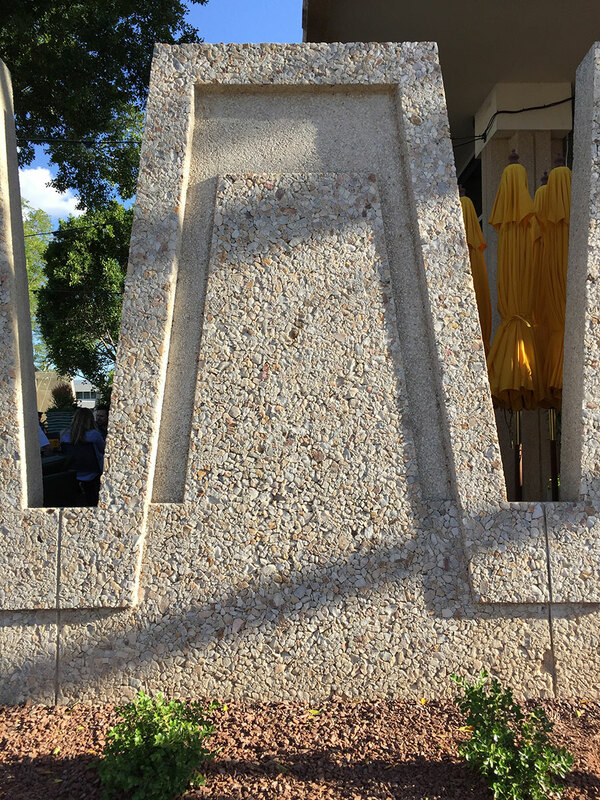 The patio benefits from generous shade in the late afternoon, shielded by the western sun. 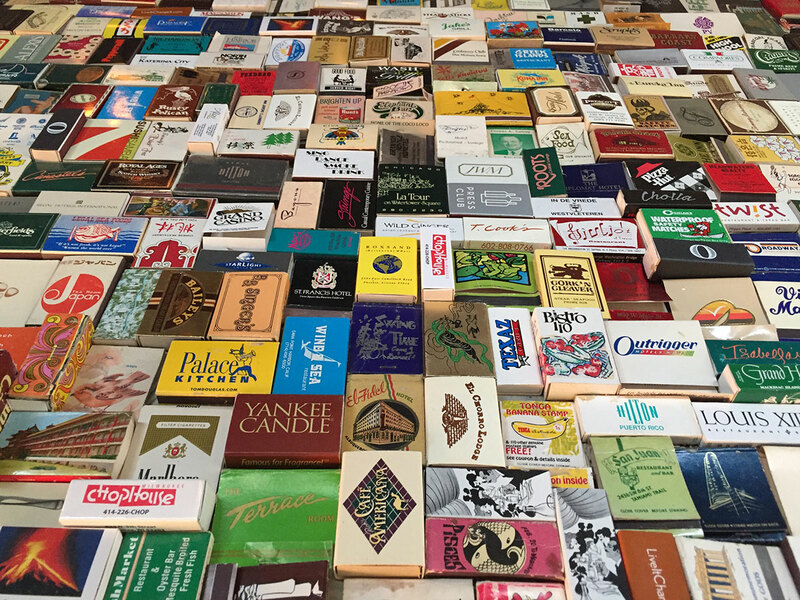 Thousands of matchbooks were crowdsourced from the Phoenix community to create this striking feature wall. Over two and a half thousand of them came from one of our members, who had recently inherited a rather sizable vintage collection. 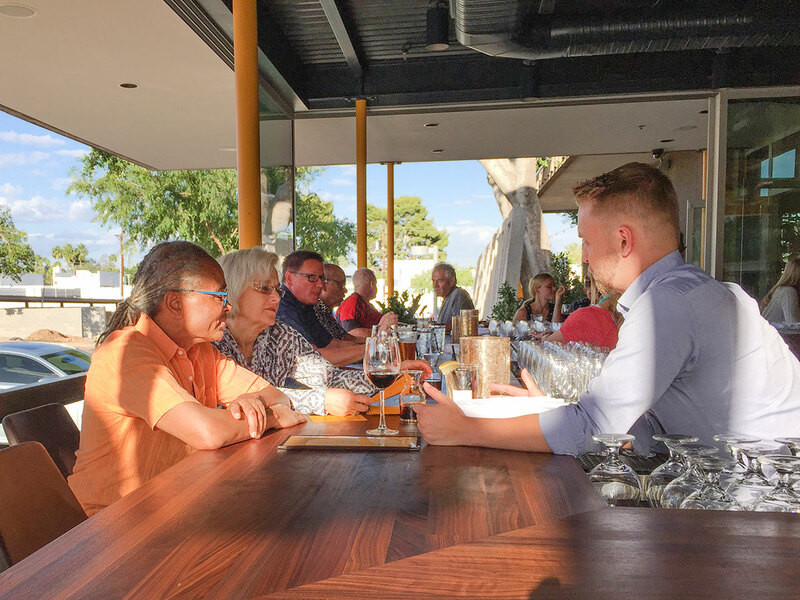 The bar area opens up on three sides to take advantage of Scottsdale's gorgeous weather. 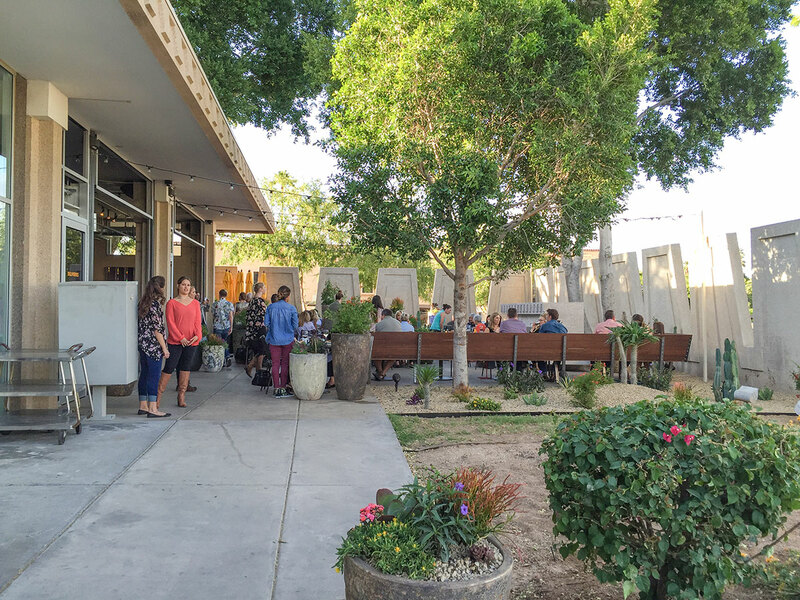 Friends of Modern Phoenix were invited for a special soft opening event. Just one of the benefits of volunteerism and sponsorship! 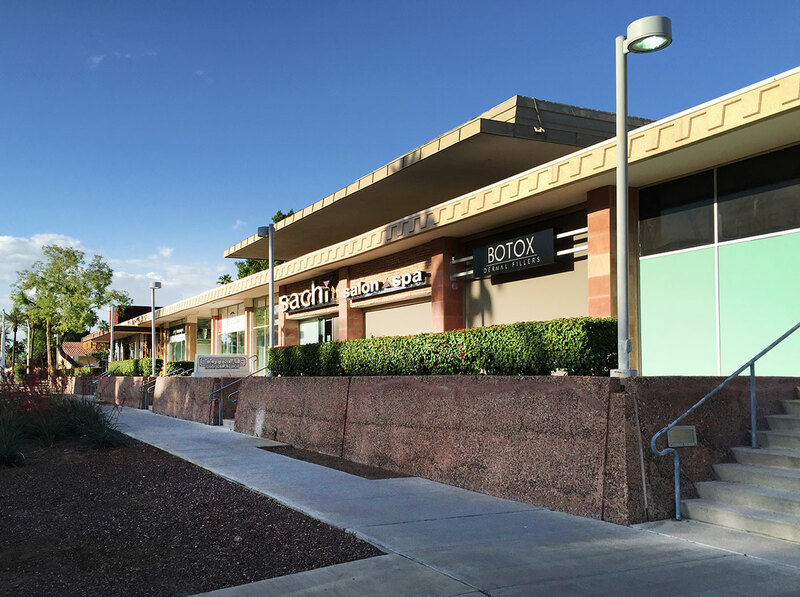 Many may remember the south side of the building as the former site of Scottsdale's Design Within Reach showroom. While many alterations have been made to the exterior over the decades, the general plan remains the same. 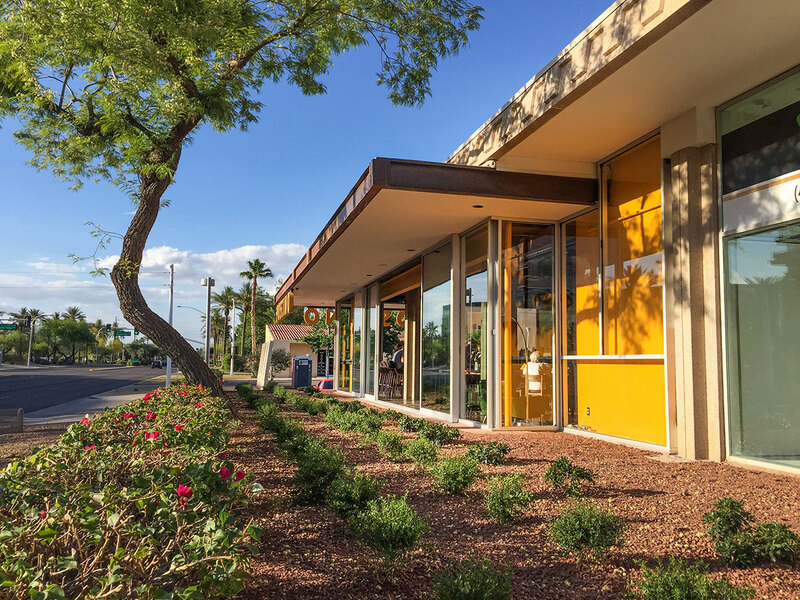 The Valley National Banks were part of a postwar design trend driven by the bank's President, Walter Bimson, who believed that good design was integral to attracting the right clientèle. 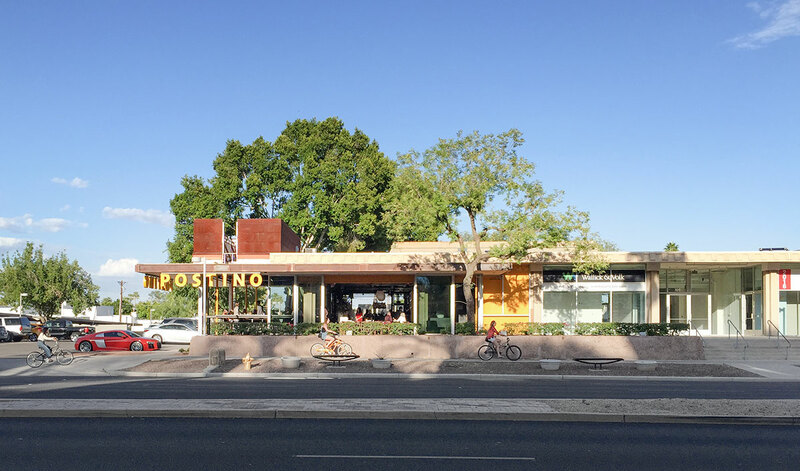 The award-winning bank designs reflected the spirit of western ease and optimism with a regionally-appropriate palette of materials and restrained yet refined decorative elements. 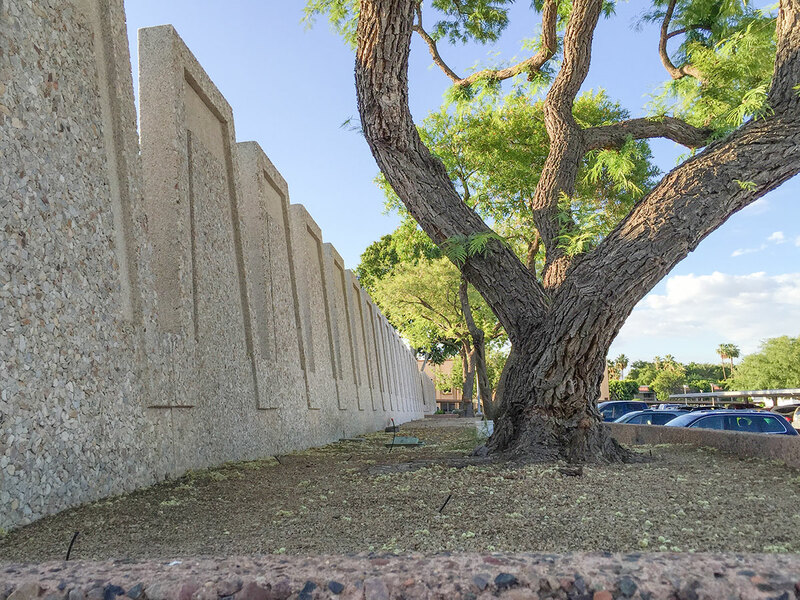 Today the banks are some of the city's most beloved yet vulnerable commercial buildings. None of the banks (nor any of their peers in the Western Savings Bank building program) are protected by historic preservation. It is only through the good grace of their owners and innovation through adaptive reuse that some of the best have been able to survive.